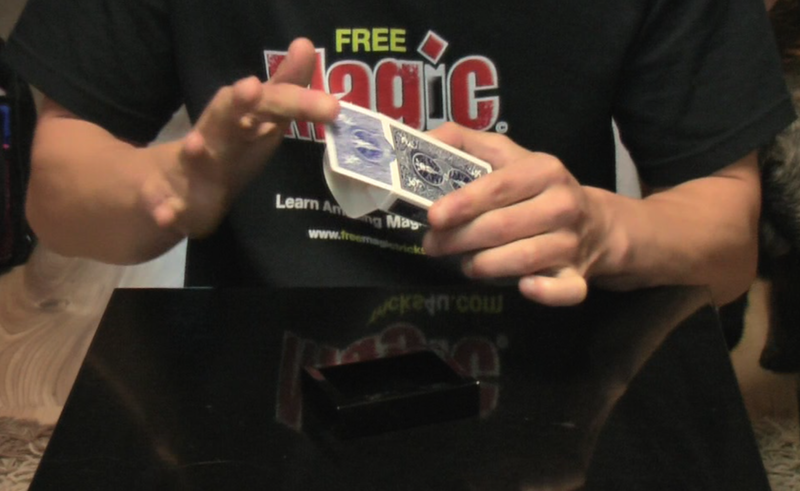 This magic card trick is one of the craziest! Your audience won’t believe what they are seeing. Let’s jump right into it below. 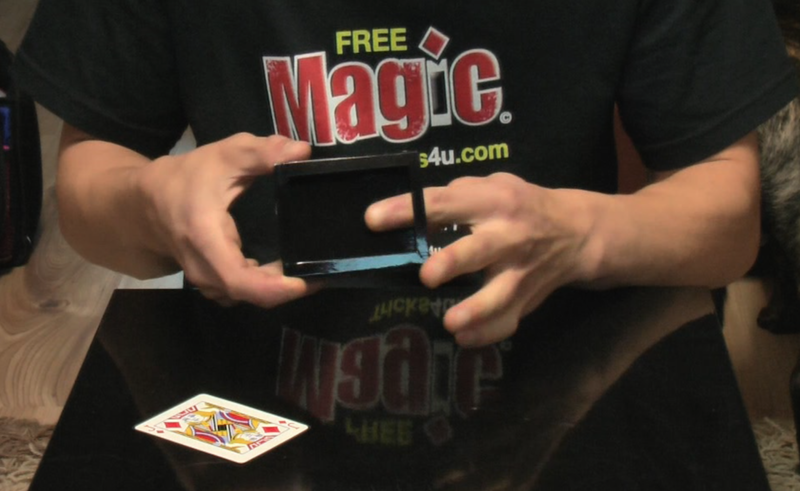 THE EFFECT: You remove a deck of cards from it's black case. You take a single card from the deck and lay it on the table, then casually close the card box and return the entire deck to its black case. 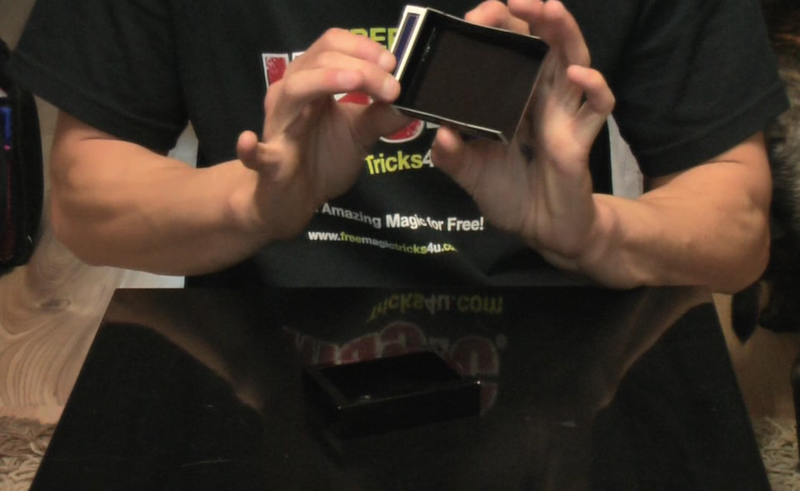 You then spin the black case around to show that the ENTIRE deck has disappeared from inside! THE SECRET: We’re going to need a trick deck for this one! The trick is to never let the audience see the back side of the card box, or else the effect is ruined. 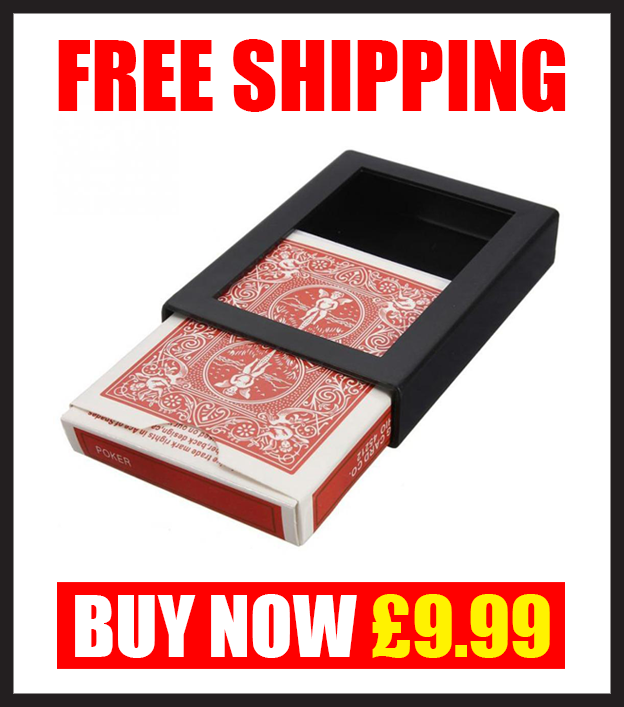 (You can actually make this trick at home if you are handy with a craft knife, glue and a couple packs of cards, however to save you the trouble you can get one in my new Magic Shop here). The card box is actually hollow inside and will help us complete the effect later (pics 1 and 2). It uses the age old black art well principle! On the inside flap you’ll see a fake piece that makes it look like the box is full of cards (pic 3). There’s only one real card in this entire magic card trick, and it will slide into the gimmicked deck box quite nicely (pic 4). Even after the card is placed into our special black case, you can’t see it when you spin the case over (pic 5). 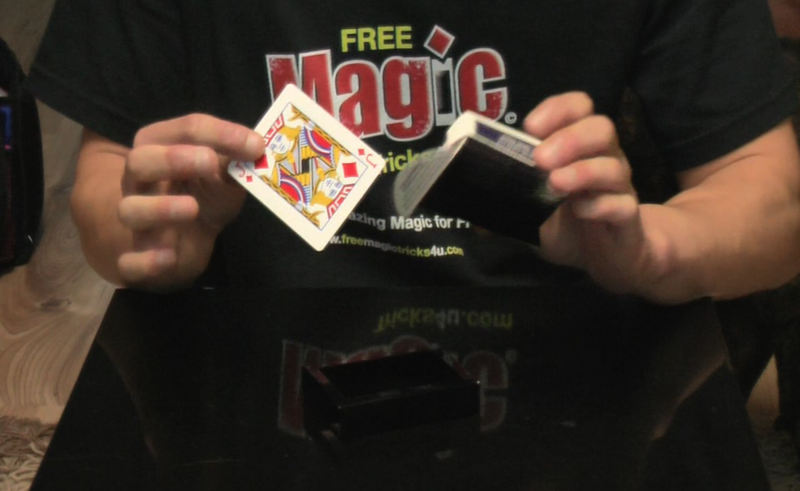 This leads to some interesting possibilities for how you could alter this trick to suit your needs ;) You could make any card that the audience member chooses disappear, and maybe bring it back later in your act! Close up the box as normal. We want to place the box into the black case in a special way now. The fake closed end of our deck will slide all the way in until it touches the closed end of the black case. Likewise, the opened end of our fake card box will align with the opened end of the black case (pic 6). See (pic 7) for an alternate view of how to insert your card box. 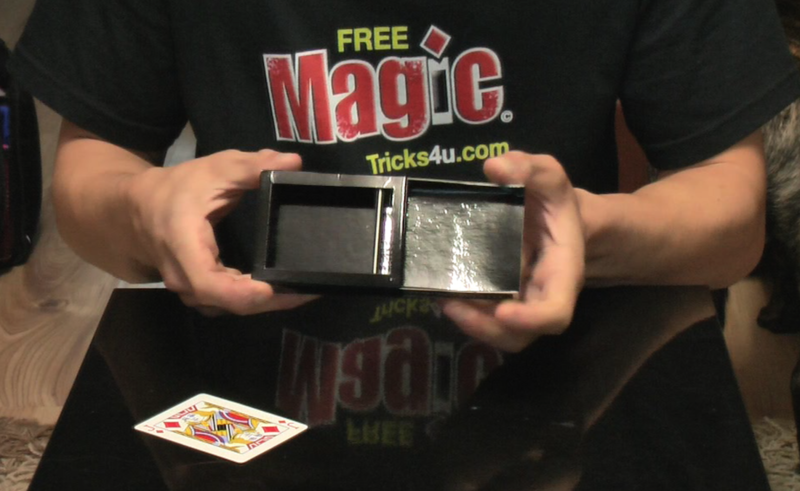 Now you can see, the hollow interior of our card box is painted black to make it blend in with the black case! Be careful not to let the audience see the insertion from this angle! Keep everything hidden but make your moves look casual so that you don’t arouse their suspicion. 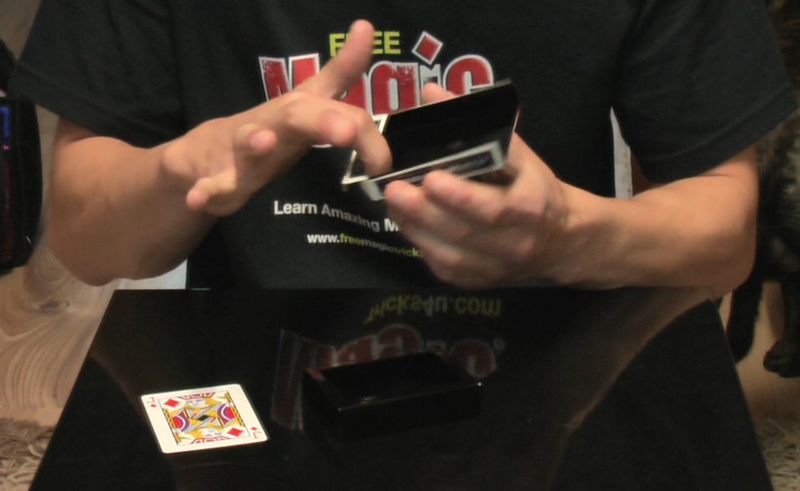 What a cool effect, and a card trick that your audience will never forget! NEW! 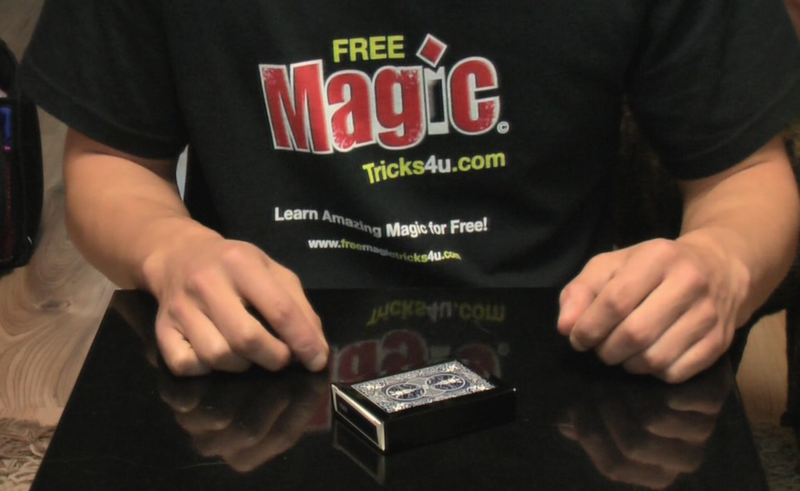 We now have a limited number of Vanishing Deck tricks available in our new Magic Store. Delivery is FREE Worldwide. Get yours HERE.